Injuries from falls are one of the leading causes of accidents that cause injury. With well over 1 million --injuries each year in the US, slip and fall injuries can be caused by a whole host of things including a slick or rough surface, problems with shoes, and the mental and/or physical state of the person who took the fall. 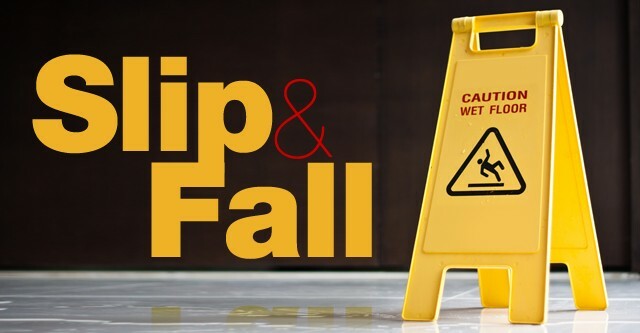 What Happens When You Have a "Slip and Fall" Injury? When a person suffers a slip and fall injury, they often suffer trauma to the bones, joints, muscles and ligaments along with the nervous system from the impact of the fall. This trauma can cause misalignments in the spine and interruptions in the signals within the nervous system. If you have back pain after a slip and fall injury, it's best to check with a professional chiropractor for further investigation of long term injuries. Because chiropractors focus on correcting physical alignment to facilitate the body's own healing mechanisms, they are very much involved in the area of personal injury treatment. They are adept at treating soft tissue injuries and sprains with drug-free, non-invasive, healing techniques. Our Chiropractors have on-site x-ray machines to discover if there has been any serious injury to the discs that make up the bone structure of the spine. If they discover a serious compromise they are able to begin a program complete with adjustments and formulated exercise for treatment of the back pain. Our doctors are holistic healers who consider the entire body when diagnosing and treating their patients. Get fast and natural relief from your slip and fall injury with chiropractic treatment. Our doctors at American Chiropractic Clinic provide very gentle adjustments over a period of time to give relief from the pain and initiate the body's own ability to heal itself without drugs or surgery. Call our clinic at 972-681-8321 for professional chiropractic care to bring you back to optimal health.